This is day 31 of Soulful Simplicity, a 31-day series through the month of October, and finishing slightly after the end of October. Real life. The whole series can be found here, and I hope you find it enriching and encouraging. If you have any questions or would otherwise like to connect, feel free to send me a note: lightandloveliness [at] gmail [dot] com. In closing out this series, I wanted to share a few last thoughts with you. First of all, thank you to those of you who have cheered me through this month. I have learned so much during this month or writing intentionally every day, and I would not have been able to make it over a few of the bumps I hit without the encouragement, prayers, and support of so many friends. I decided to do Write 31 Days on a bit of a whim, but in hindsight, I realize that God knew I needed a little space to spread my wings out a little and see that I can do this. 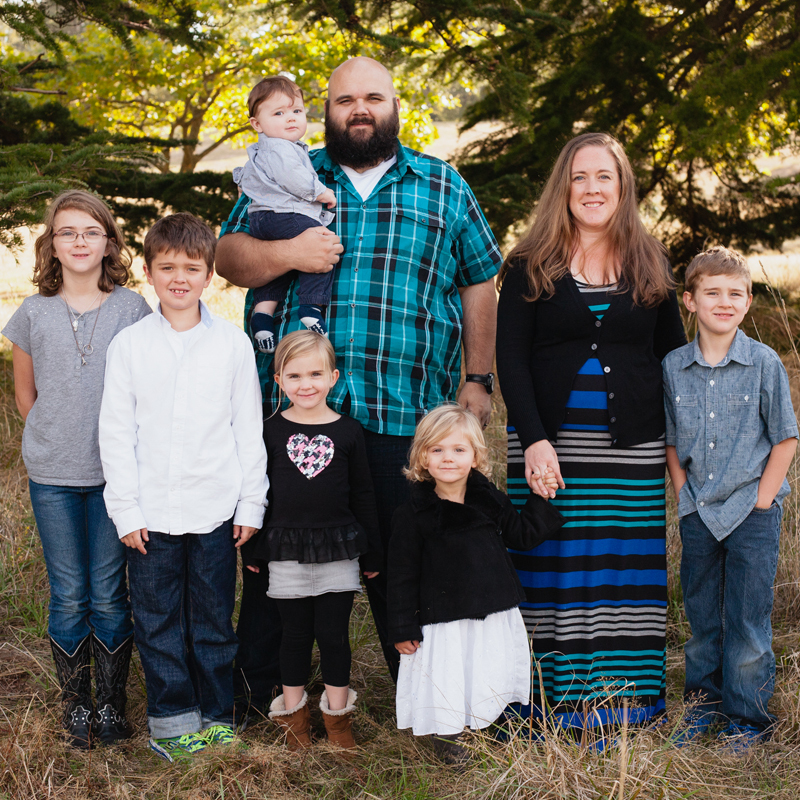 I can write as a mom of 6 littles. It might be a little unconventional, and I might have to be creative about things from time to time, but I am encouraged to see that I can do it. Isn’t it interesting that once you wholeheartedly believe you can do something, you have a lot more wind in your sails to follow through? That’s where I hope some of you have landed at the end of this series. I hope you see the beauty in a soulfully-simplified life and the reality that you can start taking small steps toward freedom, peace, hope, and joy….today. One small step is all it takes to get started. The point of Soulful Simplicity is not conformity to an ideal. It is not about working harder to achieve a standard (that always feels a bit out of reach), or feeling guilty for your comfortable life. Soulful simplicity is about thoughtfully curating your life in such a way that you can live from the most meaningful place and reap the long-term benefits from the intentional choices you make. 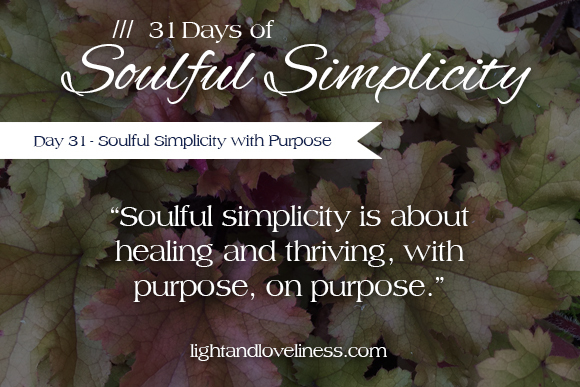 Soulful simplicity is about healing and thriving, with purpose, on purpose. I have myself been surprised at how deeply writing this series has hit me. I’ve been on a simplicity journey for a long time, but there are layers, friends. Many, many layers. As soon as you think you are at a destination, you might discover—nope there is more to the journey than you anticipated. It is a gift to continue discovering the riches of God’s wisdom in our lives, especially in unexpected ways, which is exactly what I have experienced during this writing challenge. There are new ways I have in mind to simplify my heart and home going forward. I pray that wherever you are in your journey, you would find clarity for your best next-step toward soulful simplicity, and that you would go forward with courage and boldness. If there is anything I’ve covered in this series that you are interested to dive into a little more or if you have questions you’d like to ask on the subject of Soulful Simplicity, please be in touch. I’d be so glad to hear from you. Thank you Tammy. I appreciate your encouragement so much. for letting me in on your life and thoughts! Yes, I’d love to continue reading what you write. So Mother ….and write….!!! Judy ? ?